This article provides information on how to start working on the parallel resistive touch display, which includes how to set up the hardware (wiring) and install the necessary drivers for a touch demo. Parallel RGB Display with resistive touch can be ordered along with any Apalis or Colibri module and carrier board. 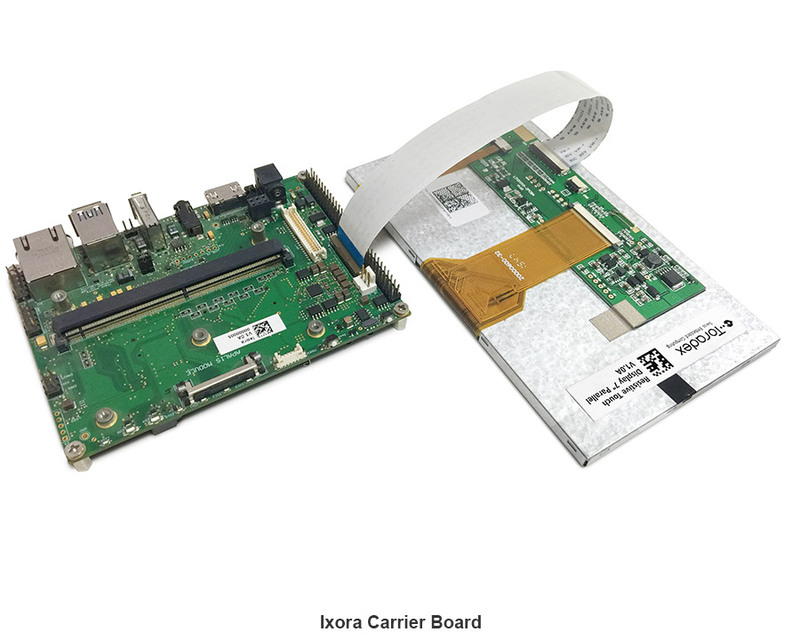 When connecting the display to any of our carrier boards, make sure that pin 1 of the display is connected to pin 1 of the board. Due to the nature of the FFC connectors, it is possible to invert the pinout and possibly damage the display and/or carrier board. The connectors available on the display do have contacts on top and bottom side. 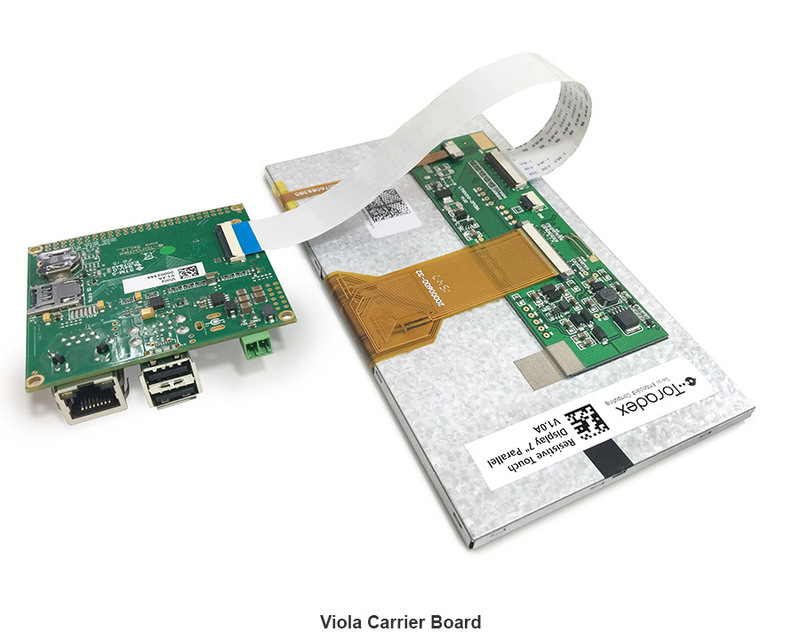 Our Iris & Viola Carrier Boards also has contacts on top and bottom side of the FFC connector. 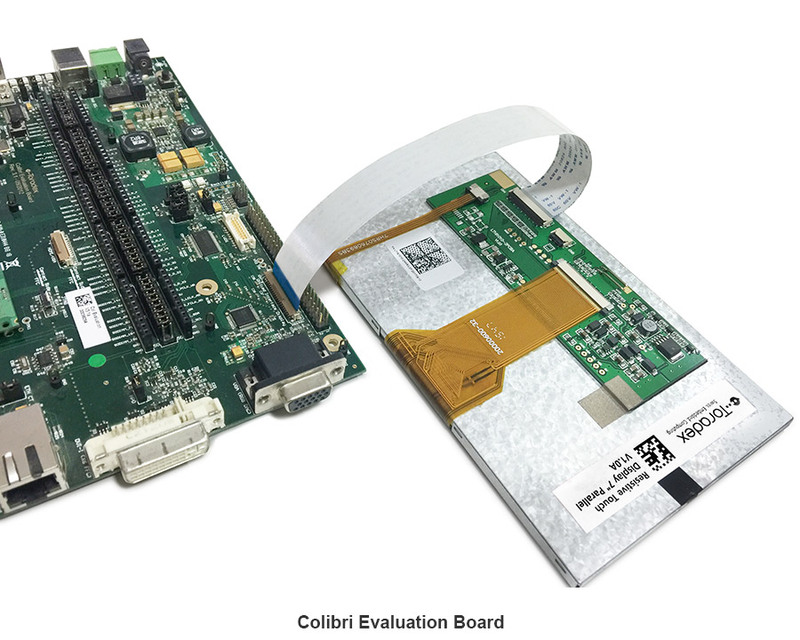 The FFC connectors on the Colibri Evaluation Board, Ixora carrier board & Apalis Evaluation Board has only contacts on the side towards the board edge. Also, be careful with the brown levers on the connectors. They are very delicate and can easily break. 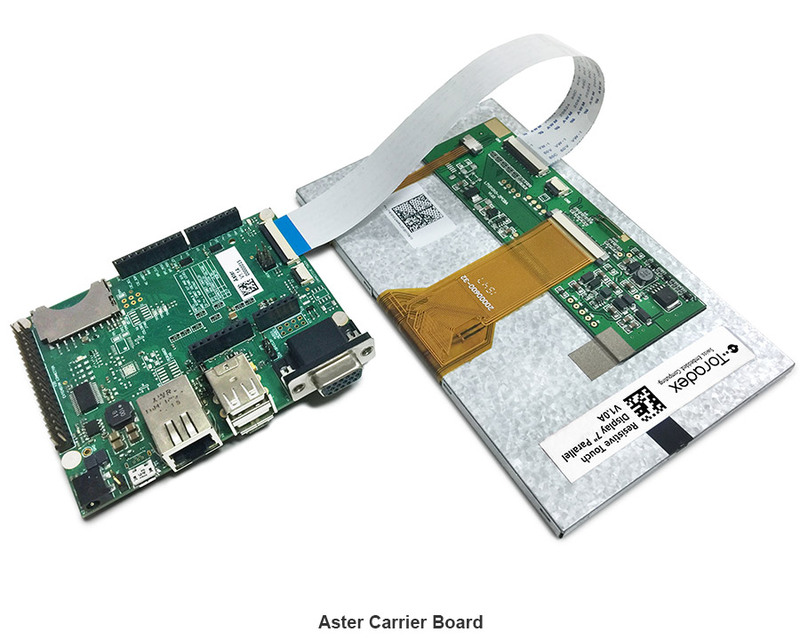 Connect the display with the provided FFC cable to the Carrier Board or Evaluation Board paying attention to the pin numbering on the display and on the carrier board. Copy the downloaded CAB installer to the Flash memory of the module or any of the memory device connected to the module like SD Card, USB Memory Stick, CF Card etc. Run the installer by double clicking on it. If you do not have a working display, use the Remote Display tool. Click "OK" on the popup window. Adjust the splash screen settings. This is particularly important for newer displays because they need proper resolution and timings at boot. You can find more information about this here. Don't forget to save the registry after editing. 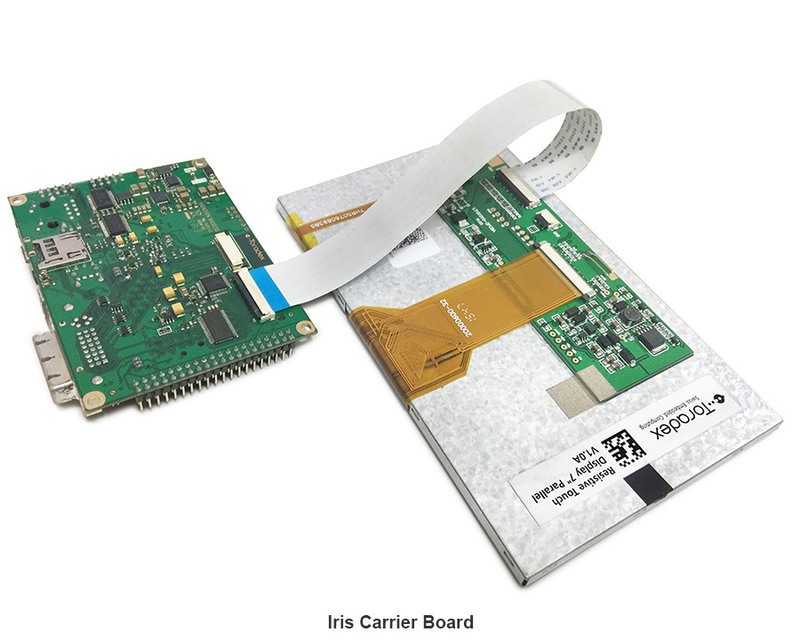 If you connect the display with our standard Carrier boards you may experience that the display does not show to maximum brightness. To get the maximum brightness you need to set the back-light PWM_A signal to output 0. The parallel RGB display also features resistive touch screen interface on the same FFC. To calibrate the touchscreen see: Touch Screen Calibration . To configure the correct display resolution, stop U-Boot by pressing any key while booting and set the vidargs environment variable according to your module as described below. For more information refer to the Display Output, Resolution and Timings article. 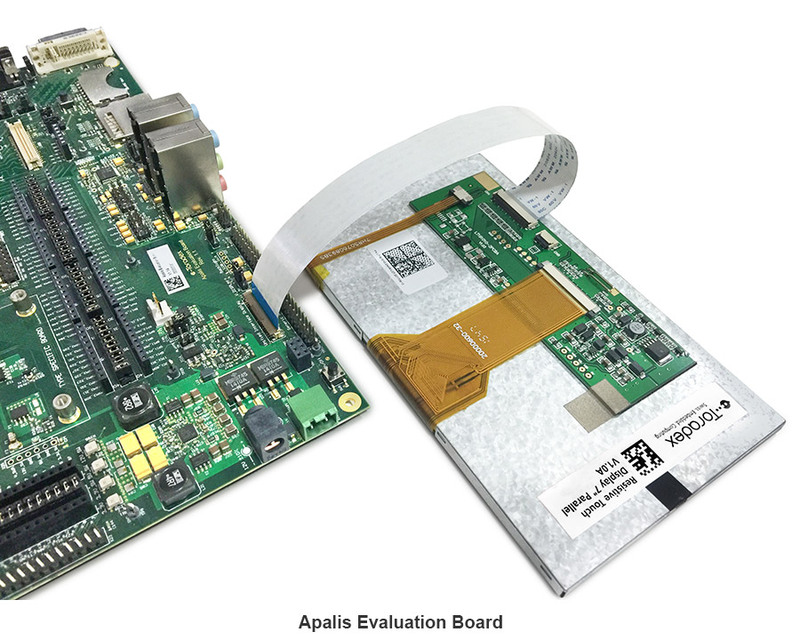 The Apalis TK1 does not provide the RGB interface required for the screen to work. The touch calibration can be done using the xinput_calibrator application. BSP 2.x automatically performs a calibration upon first boot so no further action is required.